An affordable and easy to use smart home control system. Introducing Pyng, the wireless home control solution, made by Crestron, the leader in home automation systems! One app that controls your entire home. Lights: This is without a doubt the most popular way to completely change the look inside your home. Create 'scenes': Settings for mood, time of day, activity, anything you can imagine. Lighting creates drama: It's a very effective way to completely change the way your home looks. Temperature: Changes can be made from the app. Save electricity and money on your utility bill! Door Lock: Leave work early to meet the plumber or cable guy, or hit a button on your phone to unlock the front door. Shades: Let the light in and open up the house, or darken a room for movie time. Installation is performed by our trained and licensed technicians. One revolutionary aspect of the Crestron Pyng system is that the settings can be changed at any time by the user. 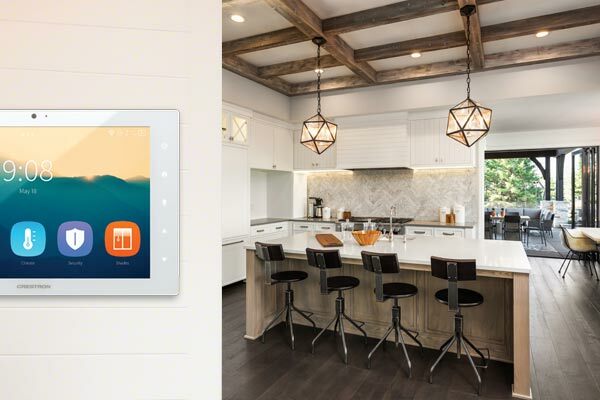 The Pyng system allows homeowners to make changes to scenes and settings themselves. We encourage people to play around with the settings to get comfortable with the system. And don't worry about making changes; there's an automatic cloud backup just in case it is needed! Check out our introductory video! Then to take the next step to call us directly at 352-332-5608, or send your contact info in the form below and we will reach out to you!